While biking in Istanbul, Turkey, Ozgur Nevres heard a faint meow for help as an abandoned kitten came scampering over to him. 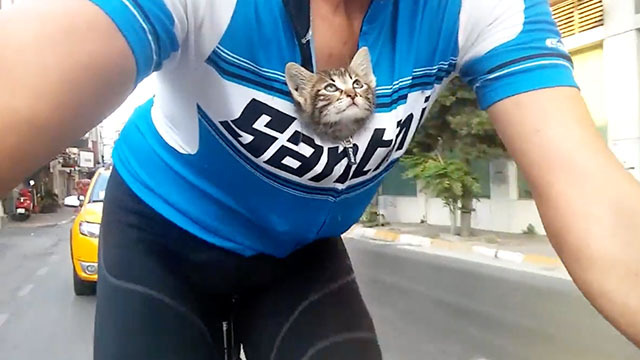 He carefully puts the kitten in his shirt and bikes over 18 miles back to his place of work. After providing her with food and shelter for two days, the kitten was adopted!